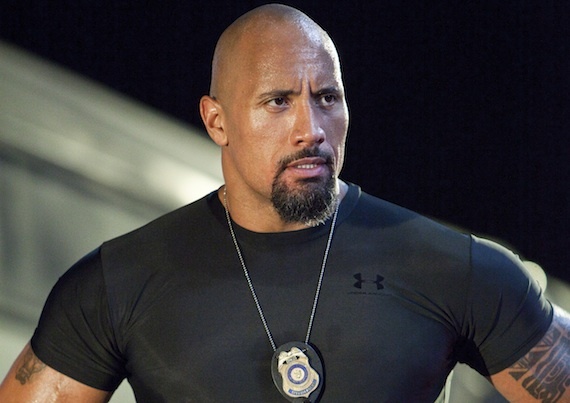 Kryptonian Warrior: Dwayne "The Rock" Johnson Joining G.I. Joe 2: Cobra Strikes? Dwayne "The Rock" Johnson Joining G.I. Joe 2: Cobra Strikes? It's being reported that Dwayne "The Rock" Johnson is in talks to join the cast of the upcoming G.I. Joe sequel "Cobra Strikes" for a summer 2012 release. Johnson's role will be that of "Roadblock" who featured in the original series... Sounds like the perfect part for the mahusive man mountain the Rock currently is (did you see him in Fast Five? With the beard? :P ). No other cast members have been 100% confirmed a this time but reports suggest that we'll be seeing familiar faces including Byung-hun Lee as Storm Shadow, Ray Park as Snake Eyes and Channing Tatum as Duke again at least.